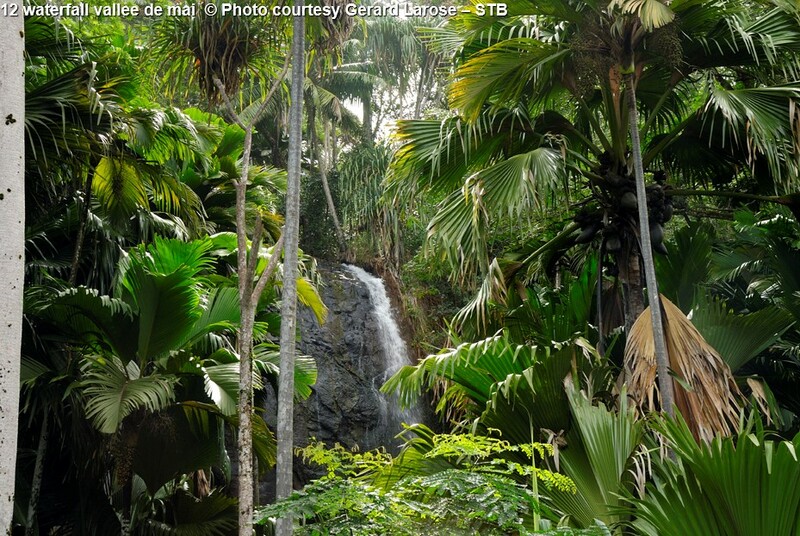 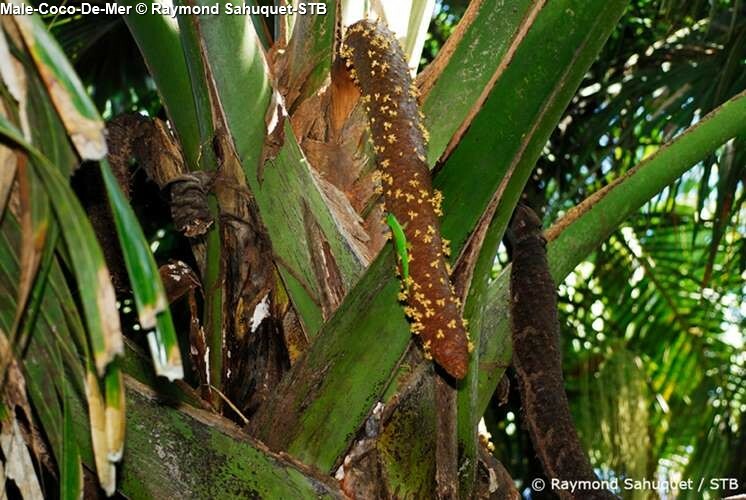 Vallée de Mai, a UNESCO World Heritage site and untouched biosphere like none other on Earth. 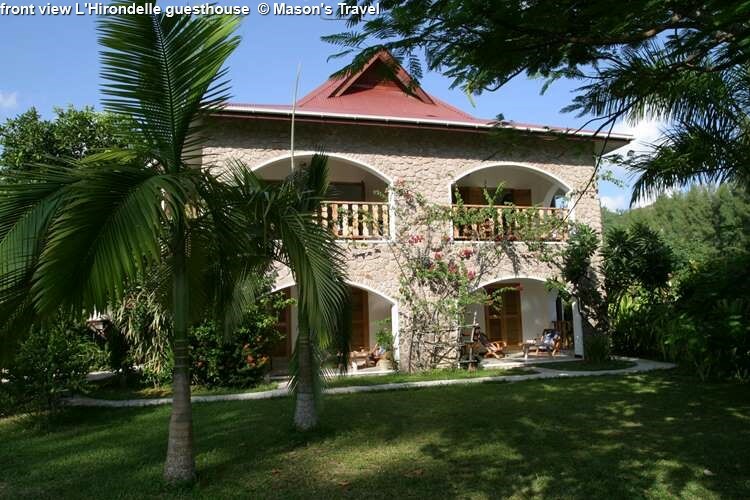 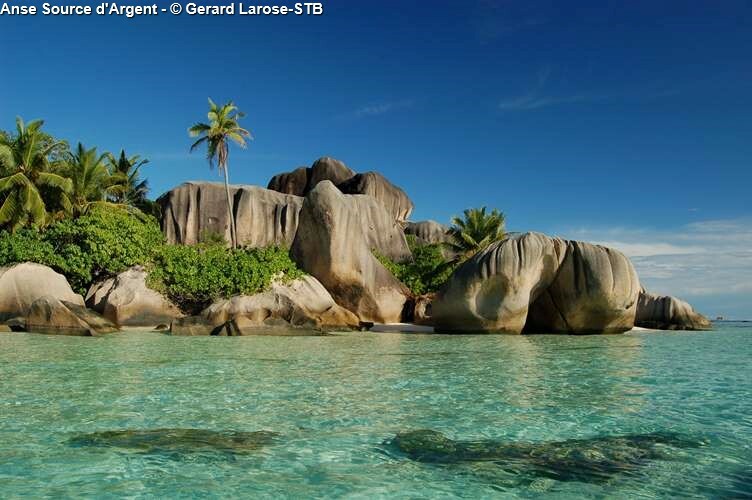 the wonderful world of La Digue with spectacular beaches, an abundance of Creole architecture, a Nature Reserve and the famous l’Union estate. 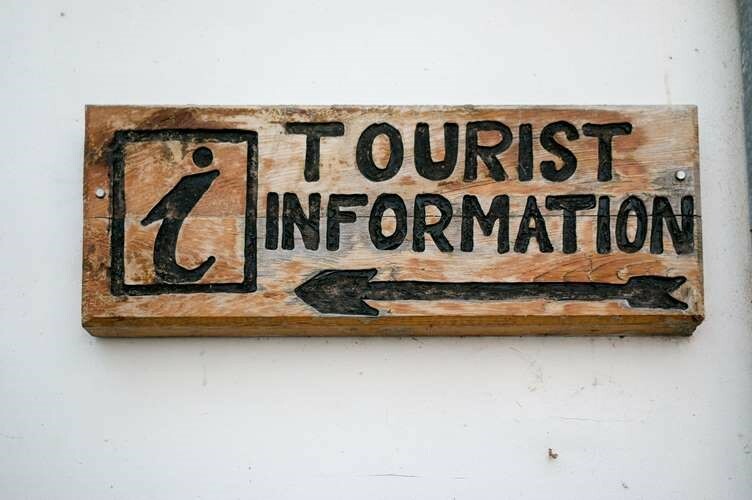 This excursion is subject to weather, and requires a minimum set of 10 pax in order to proceed. 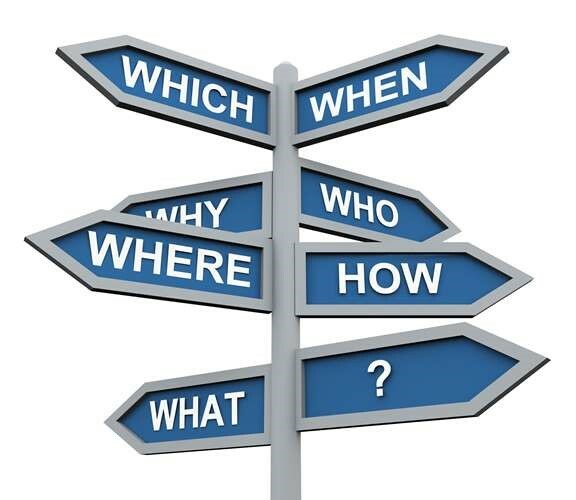 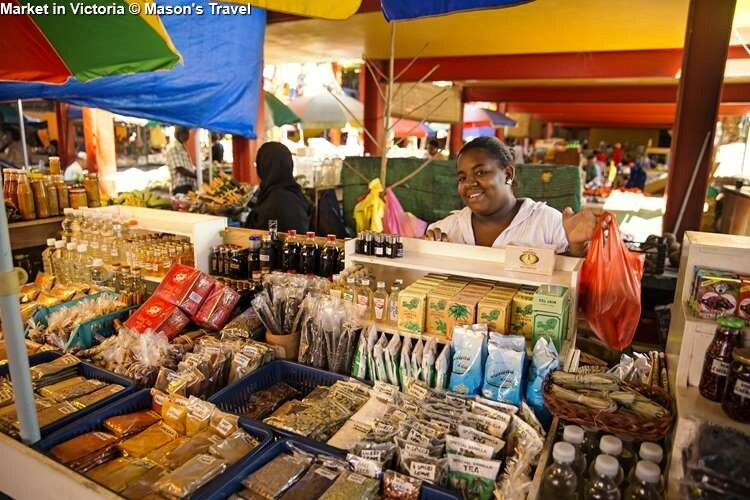 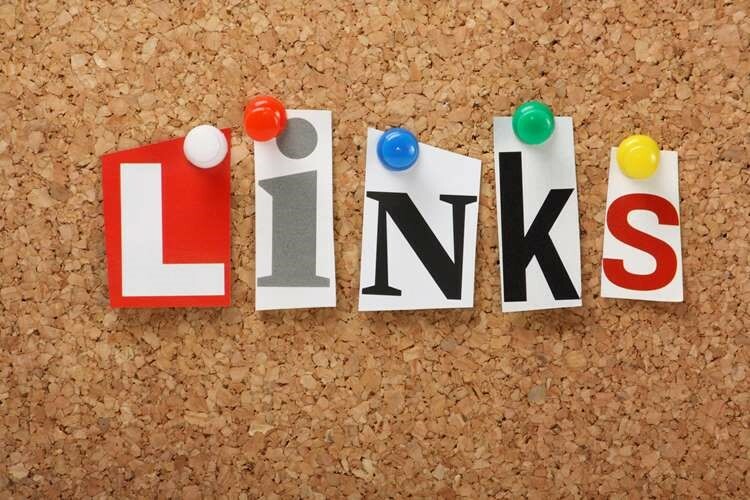 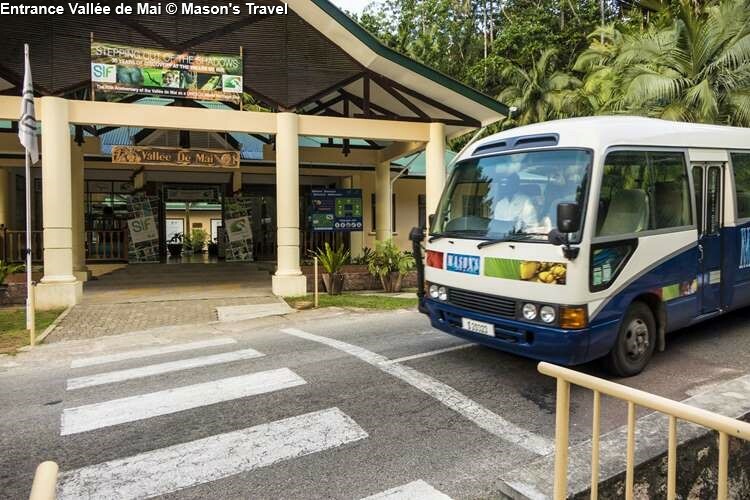 In the event of cancellation, Mason’s Travel undertakes to re-schedule the tour, offer an alternative excursion of similar value or effect a full refund. 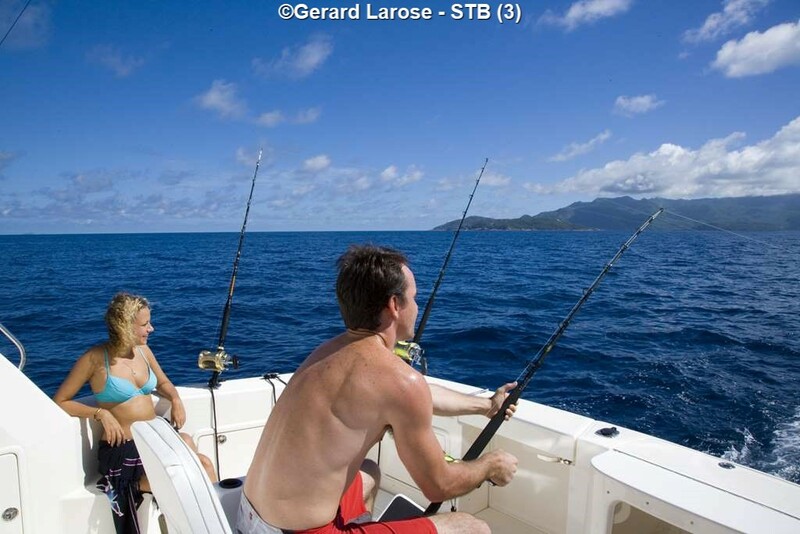 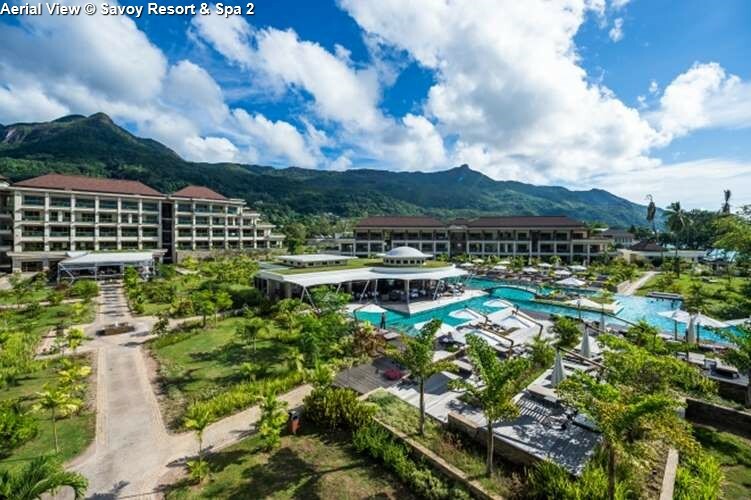 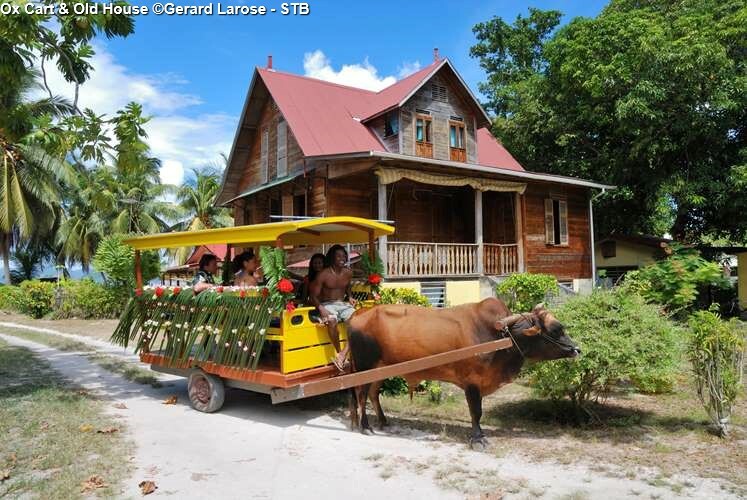 This excursion can be scheduled to include guests staying on Cerf, Eden and Sainte Anne islands, with the Pick-up and Drop-Off points on Mahe Island, at the point where the hotel arranges its boat transfers. 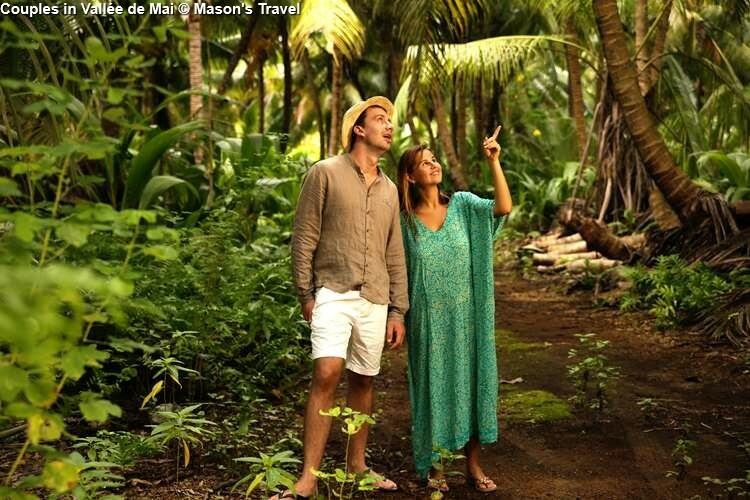 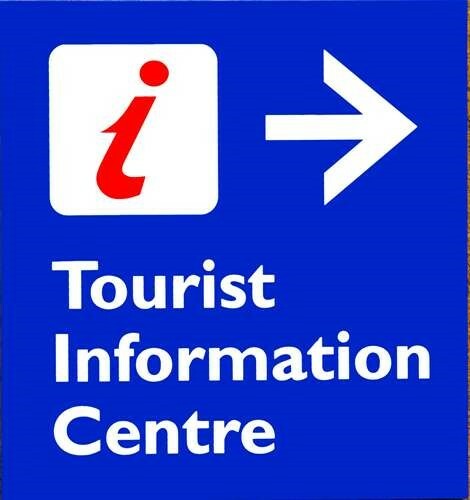 If you stay on Mahé or one of the nearby islands it’s possible to book a private guided tour for you or your group. 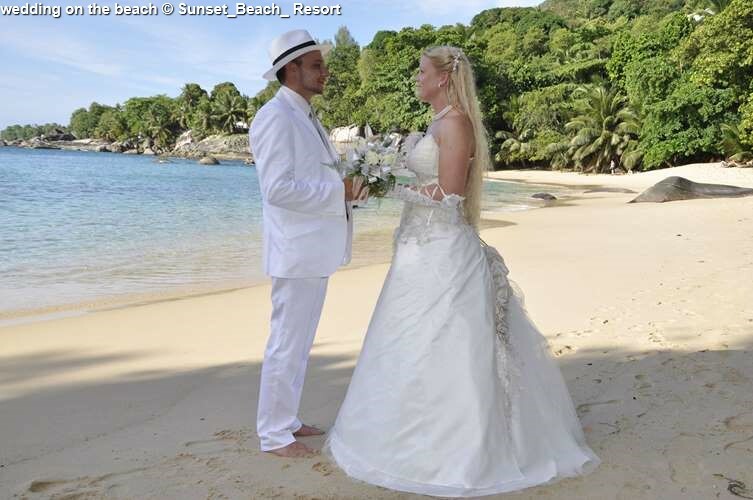 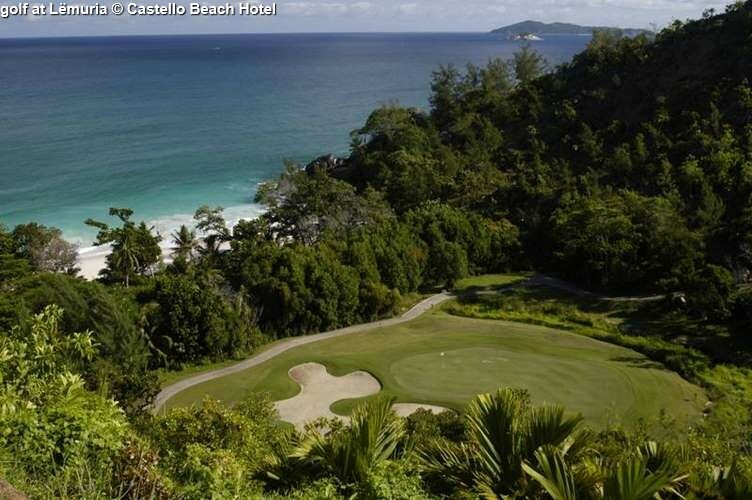 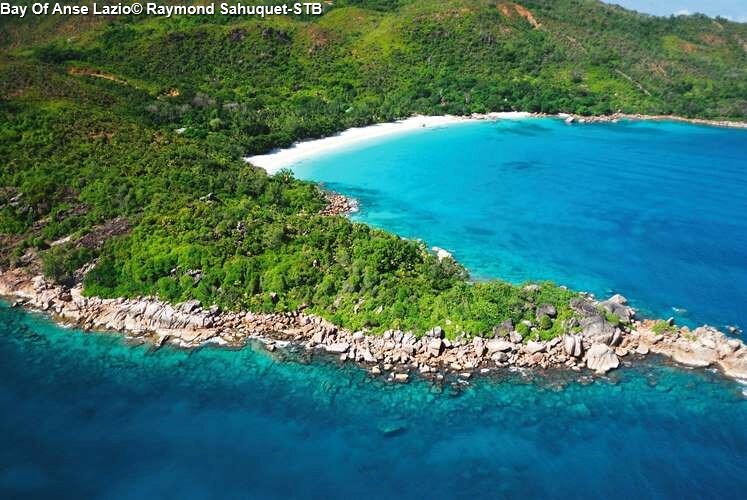 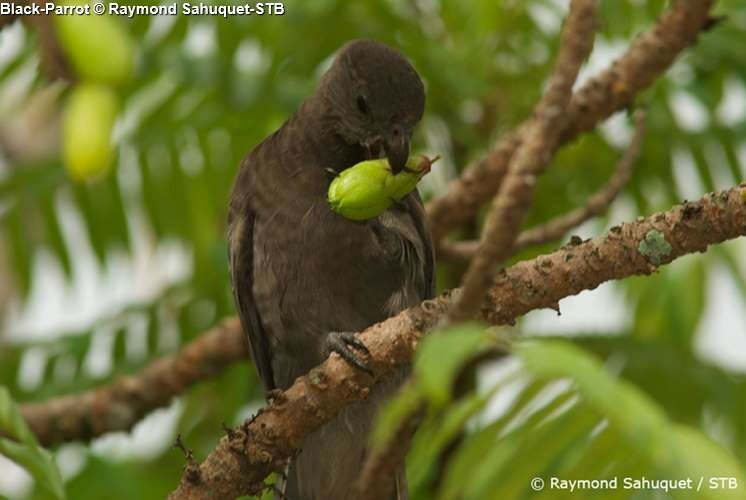 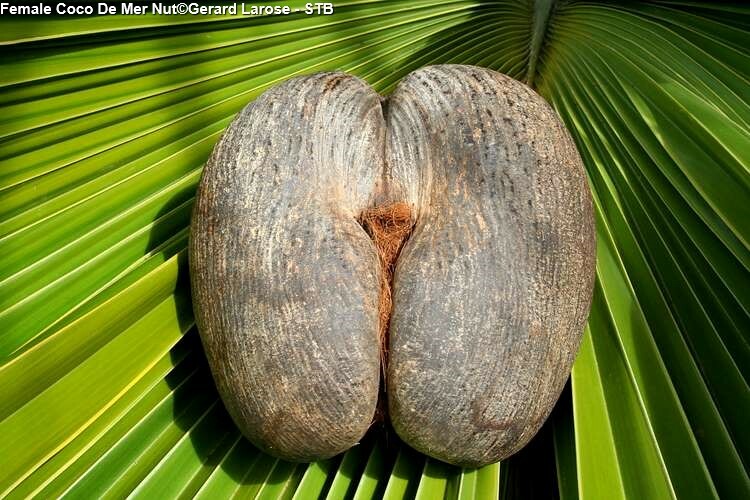 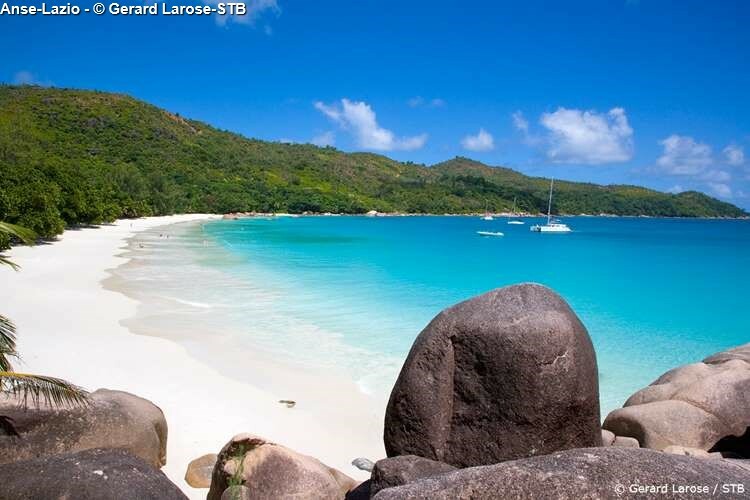 Praslin, the second largest island in Seychelles, lies approximately 1 hour by boat from Mahe. 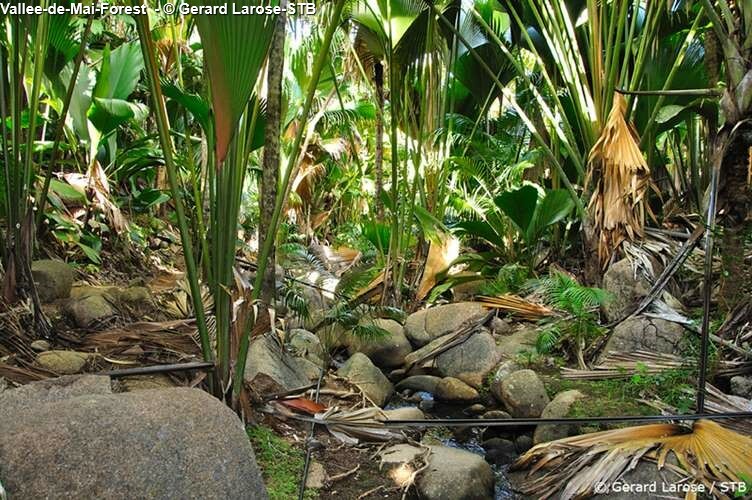 tended paths of this primeval forest, listening to the trill of the rare Black Parrot, transports one to the beginning of time; giving credence to the legends of this World Heritage Site being the original Garden of Eden. 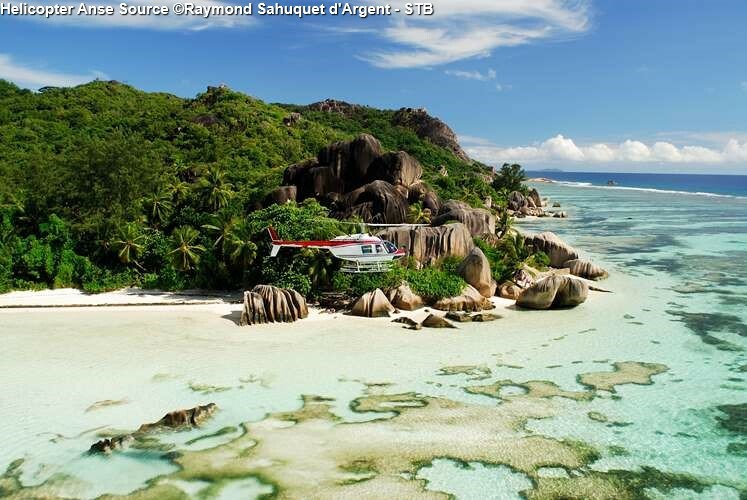 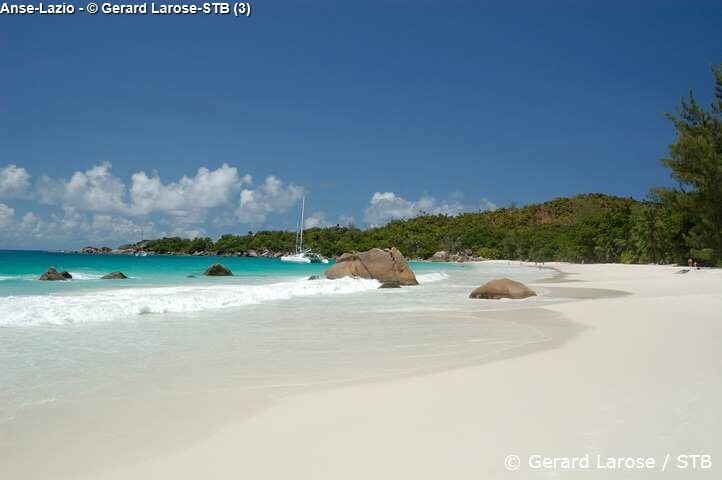 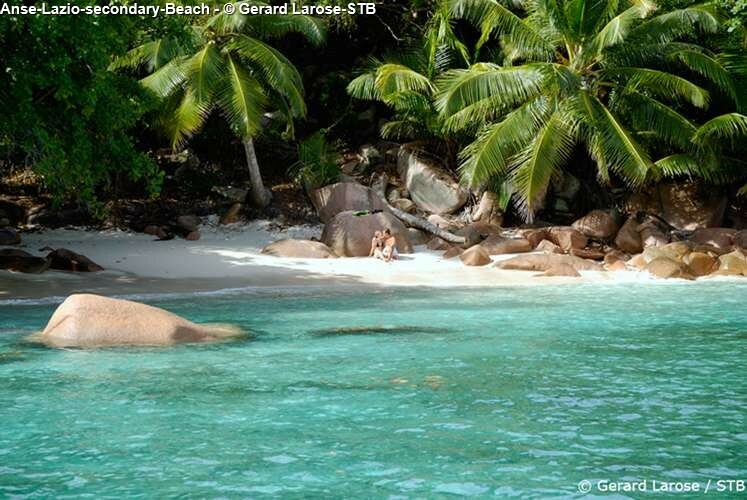 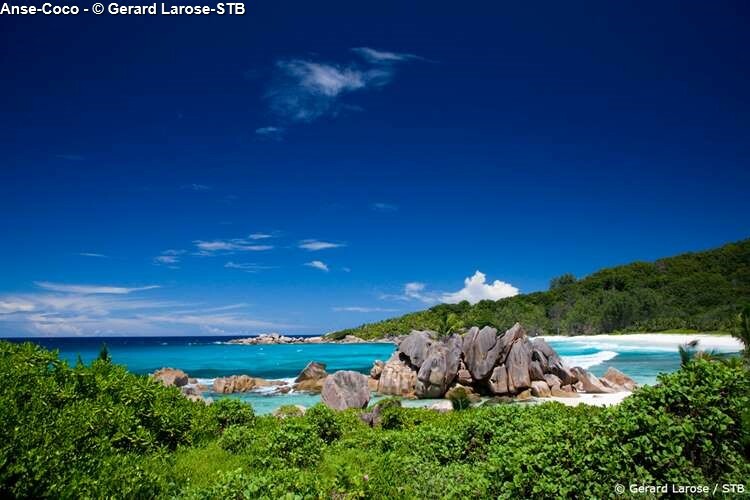 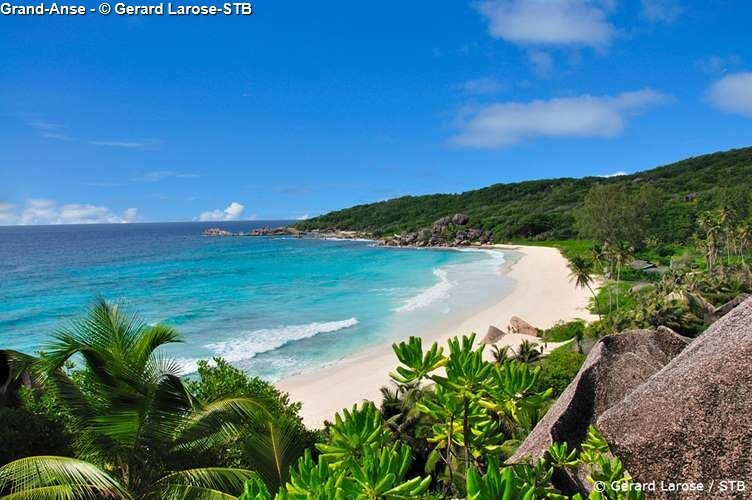 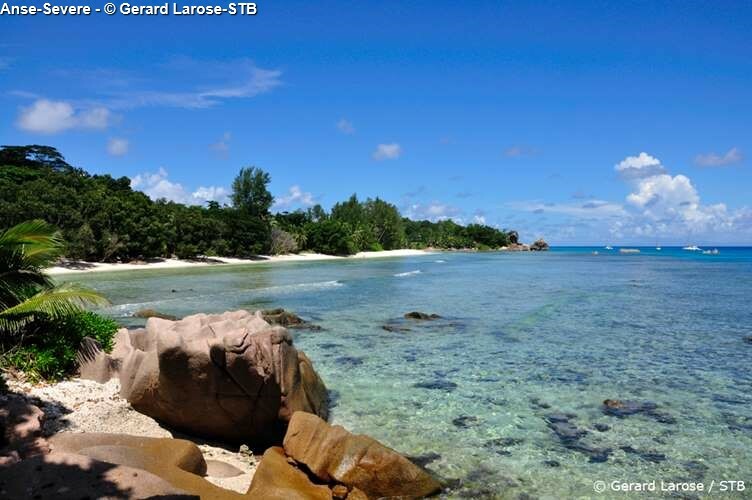 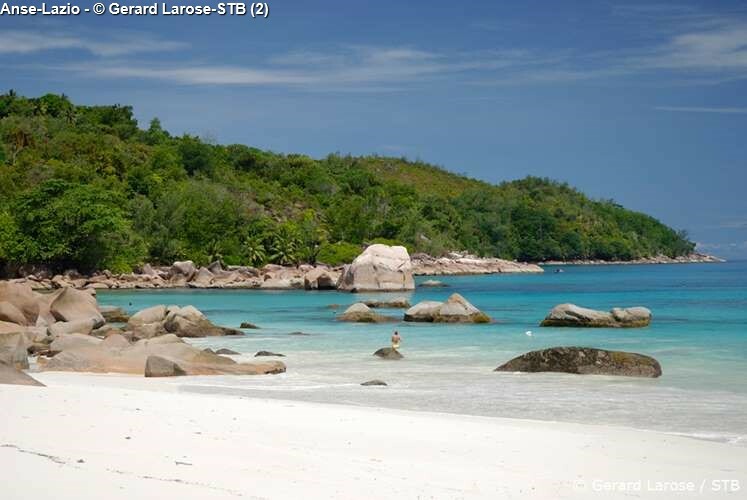 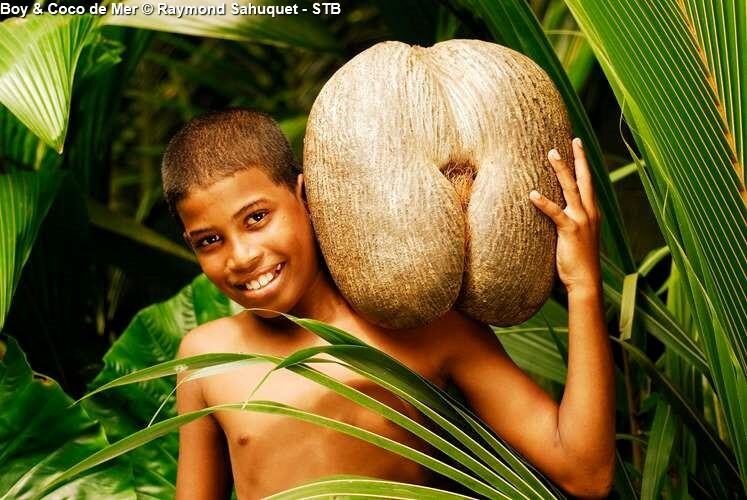 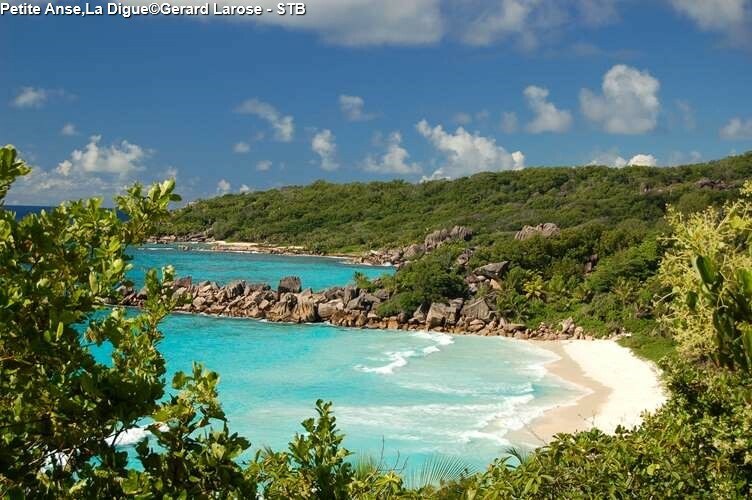 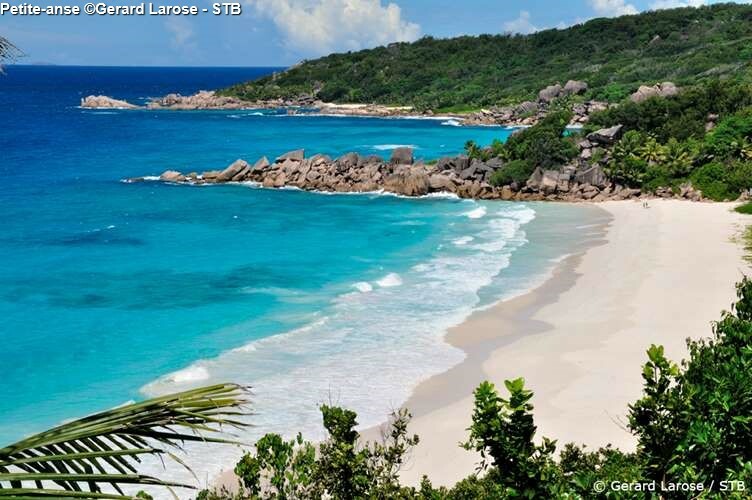 The tour includes a visit to the famous Anse Lazio beach, before the 30-minute crossing to La Digue. 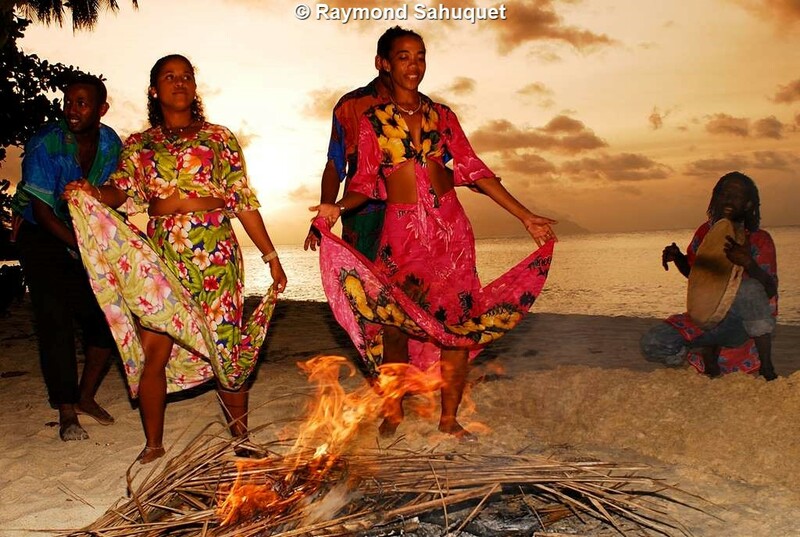 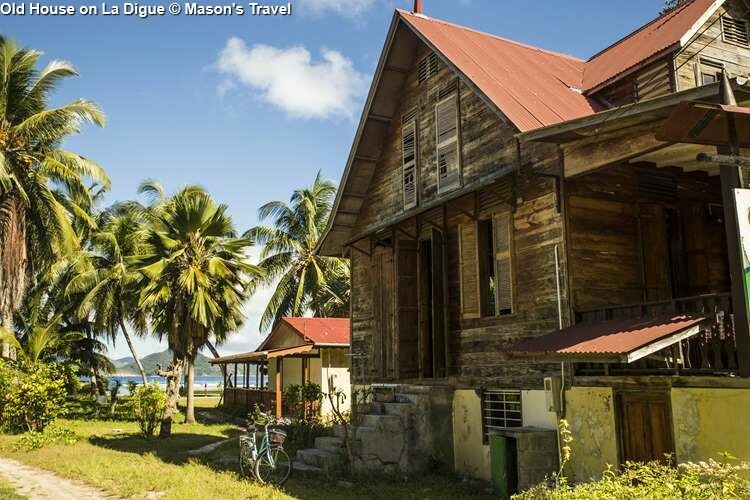 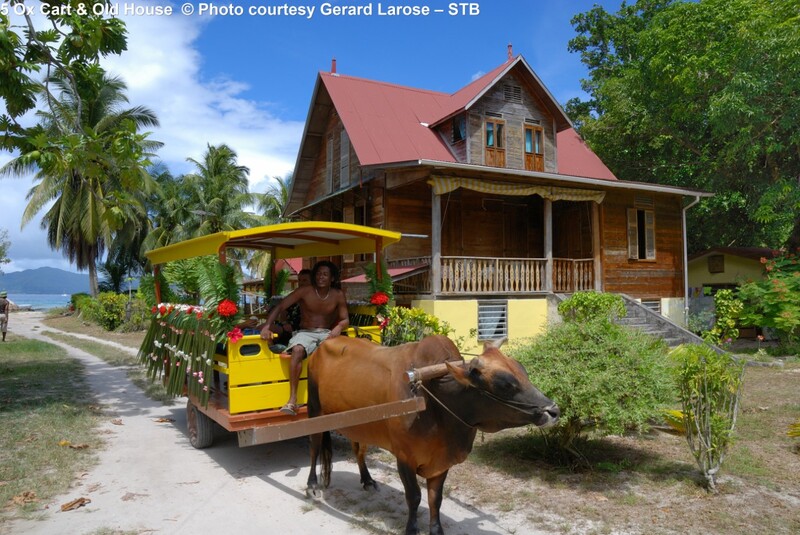 Visitors to La Digue island will marvel at the timeless atmosphere, with the comforts of the 21st century blending smoothly with the tranquility of yesteryear, where life is lived mainly at the pace of the oxen. 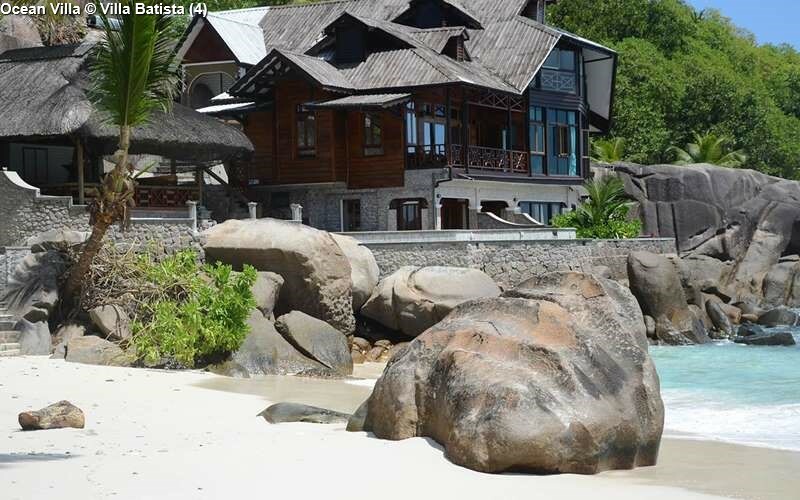 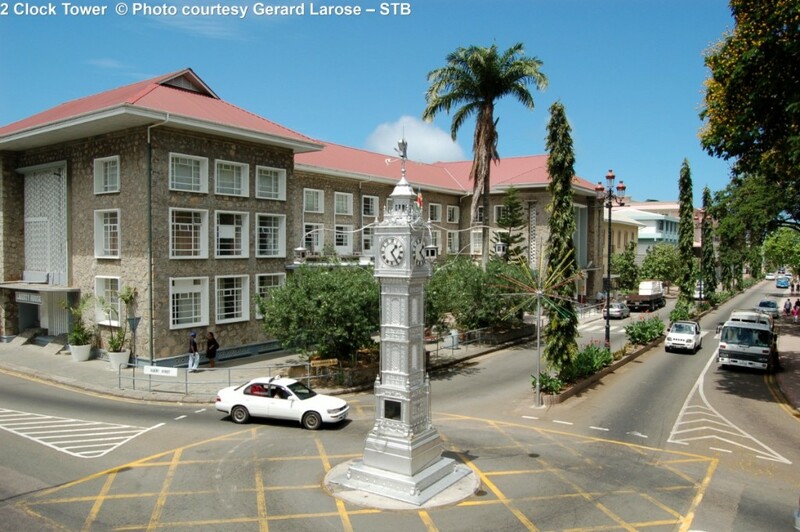 Transfer from the jetty is by pick-up truck to L'Union Estate for a tour of the copra sheds, the giant land tortoises and the recently refurbished colonial plantation house, location of the film “Goodbye Emmanuelle”. 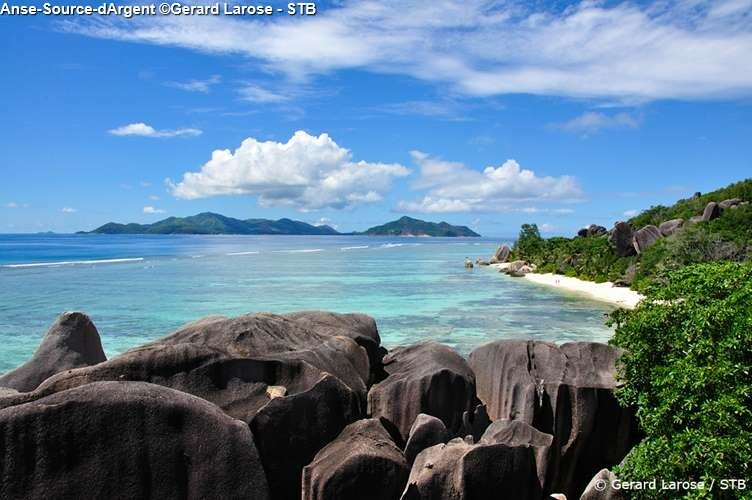 The tour of La Digue resumes by 'camion', an open-sided truck with canopy, stopping at Anse Source d’Argent, one of the most spectacular beaches in the world, allowing you ample time to photograph the impressive granite rock formations. 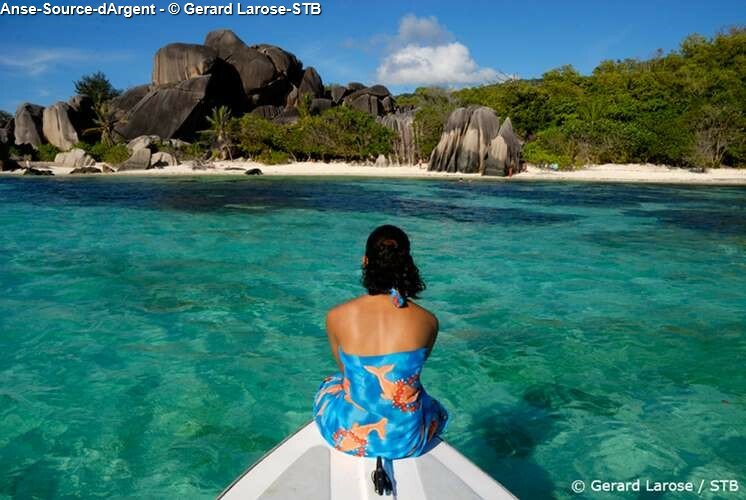 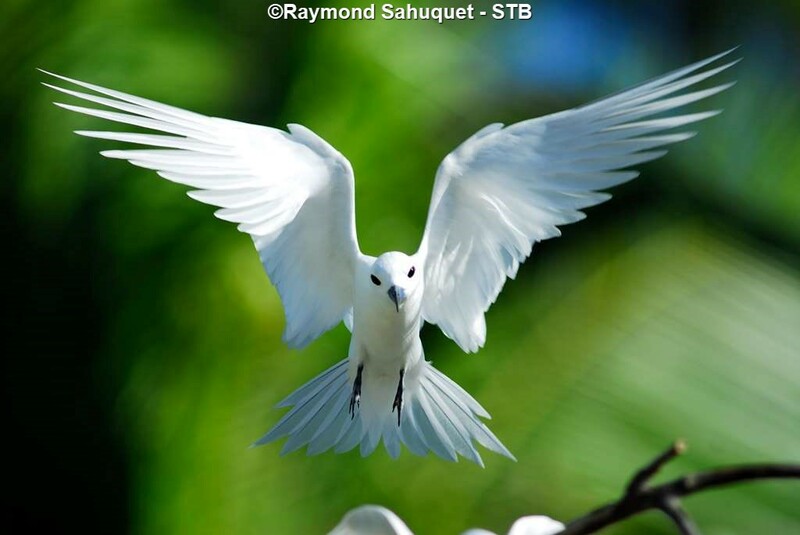 This 11-hour tour, which sometimes starts on La Digue, is an attractive opportunity to visit the highlights of both islands in one-day. 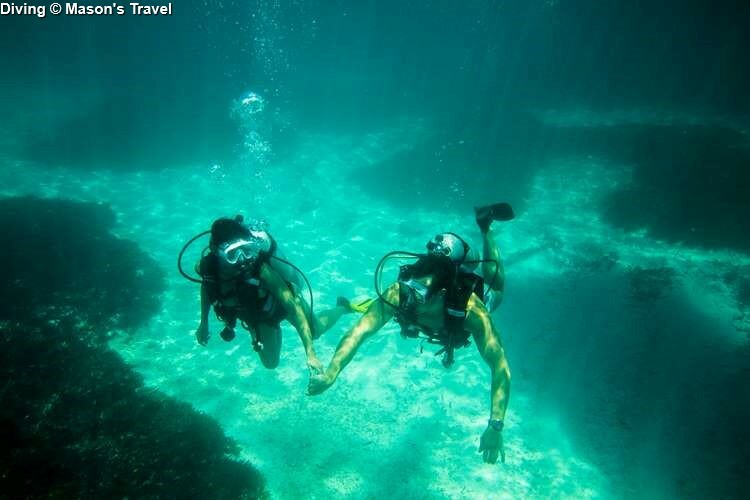 Take your own snorkeling equipment with you if there is time to be spent at the beach. 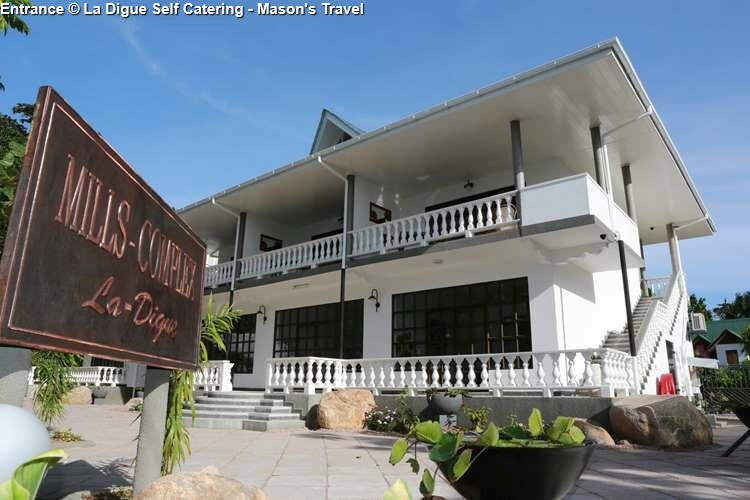 Lunch will be served during your excursion. 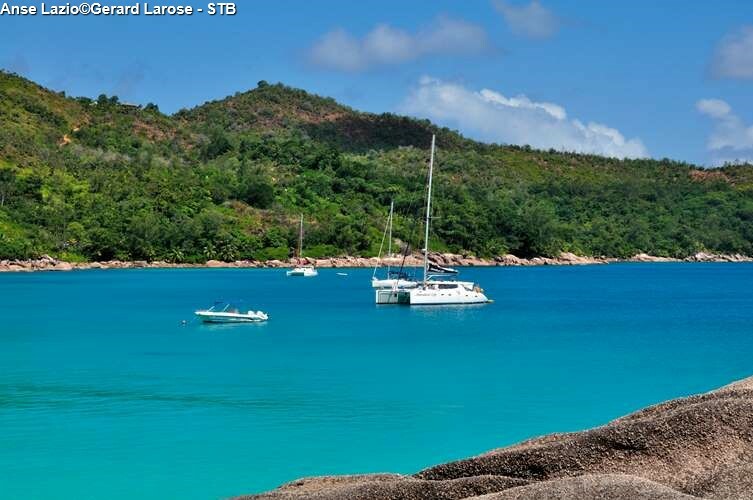 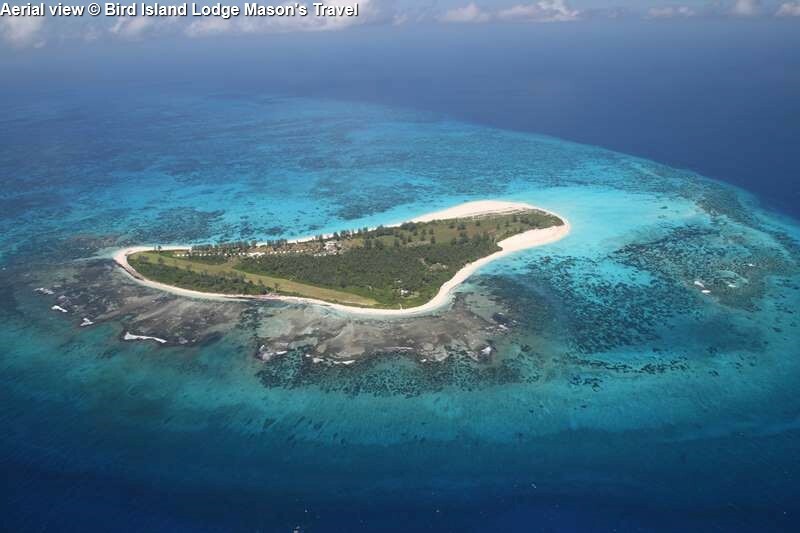 This excursion is applicable for guests staying on Mahe Island and nearby Islands.